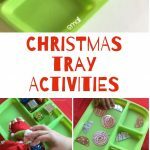 It is Wednesday, and out comes the Christmas tray activity! 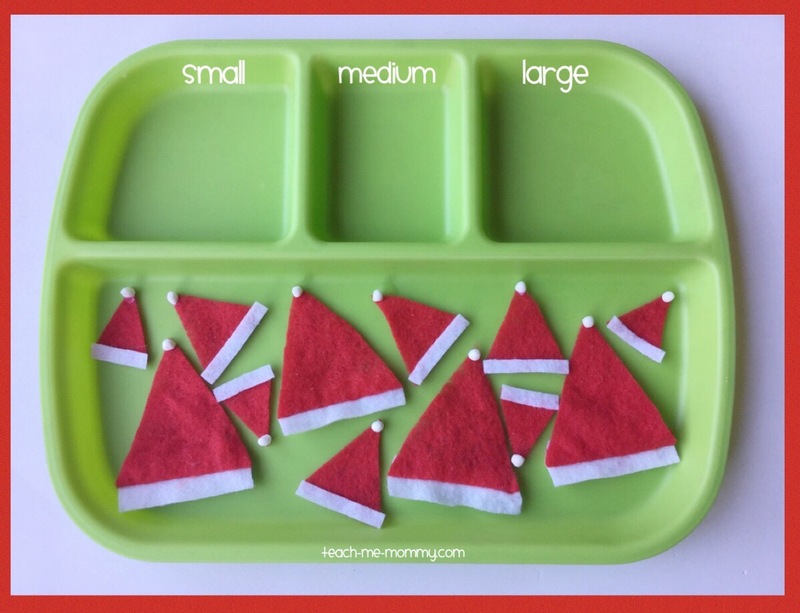 Every Wednesday up till Christmas, I’ll be sharing an easy-to-set-up Christmas tray activity like this Sorting Christmas Hat one! This week we are also joing the Toddler Christmas Activity Blog Hop, be sure to check out all the idea shared there too! 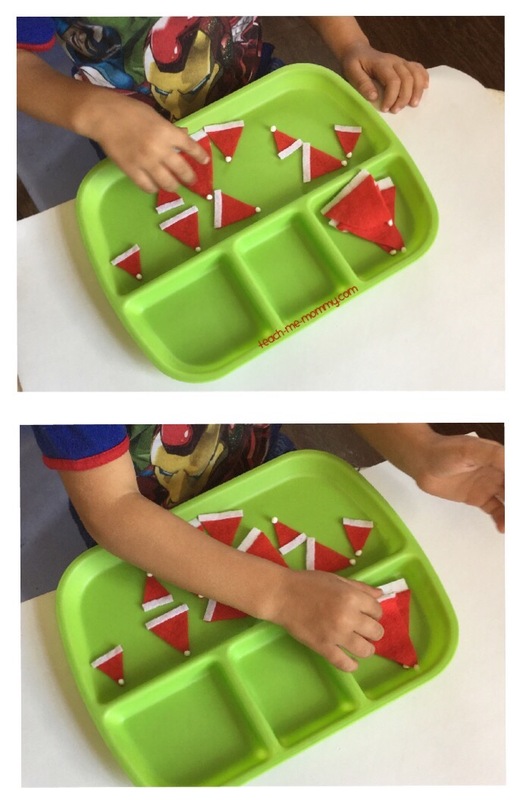 So, the past two weeks I shared tray activities with Christmas trees: Sorting and Counting activities. Have you seen it? So today it is sorting Christmas hats according to size: small, medium and large. 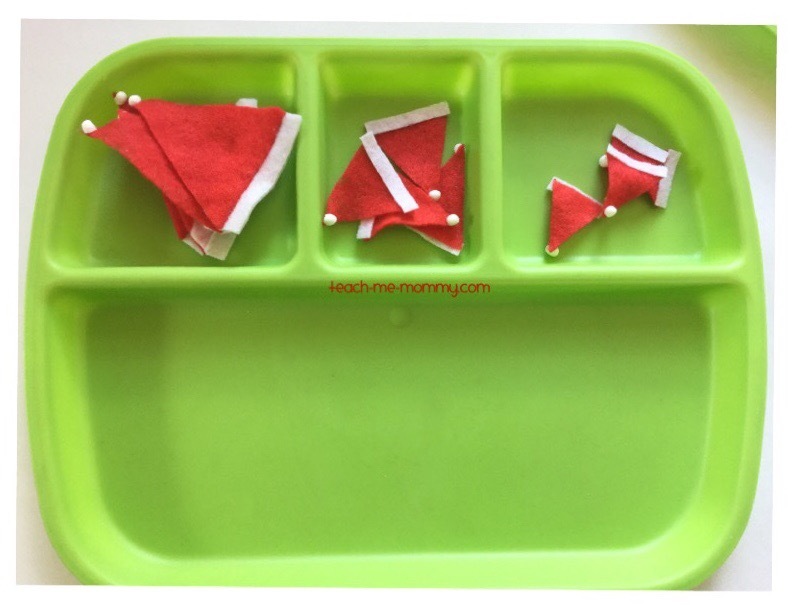 A fun tray activity for toddlers and preschoolers. First, cut three sizes of red triangles. I cut 4 of each. 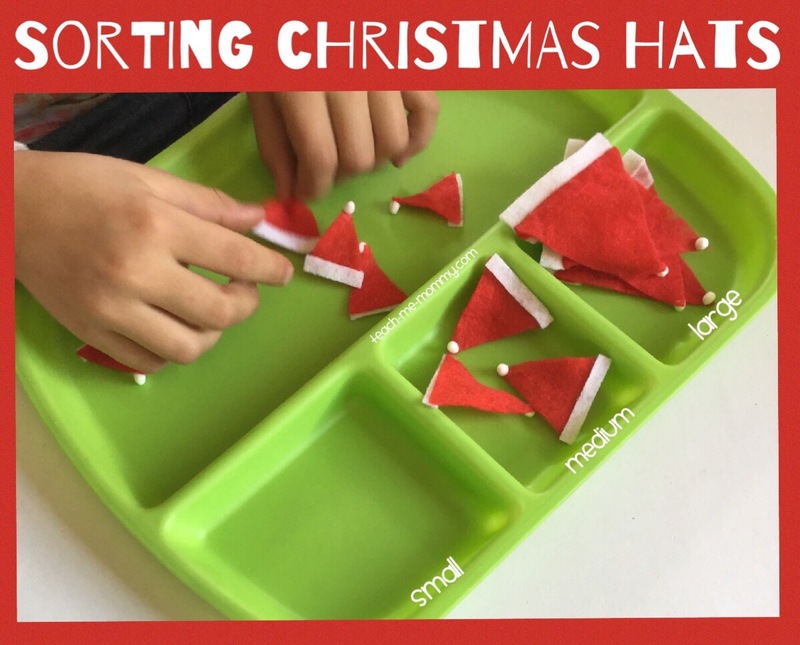 Add strips and white and pompoms to resemble Christmas hats. Let your child sort and count the hats too. All hats in the right place! 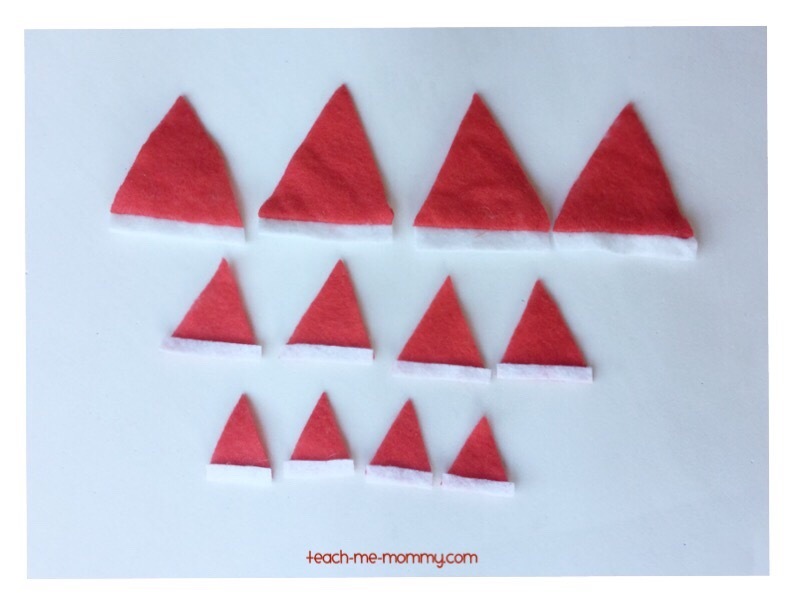 A simple Christmas learning activity any toddler will love!